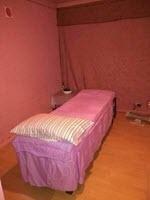 Very attractive massage clinic for traditional Asian style relaxation therapy. Chinese masseuses will provide the serenity you need for a fully stress-relieving experience. Directions: Located at the rear of the building at 10 Redfern Road adjacent to the Car Park. Specialty: Chinese masseuses skilled in therapeutic and relaxation massage, full body massage and stress relief. Parking: Plenty of parking at door. Public Transport: Railway station just 1 minute walk. Bus stops for Campbelltown, Raby, Narellan, Ingleburn and St Andrews are even closer! Looking for best relaxation full body in Minto, Campbelltown, Leumeah, Ingleburn, Macquarie Fields? Call 0410 930 347 Now!